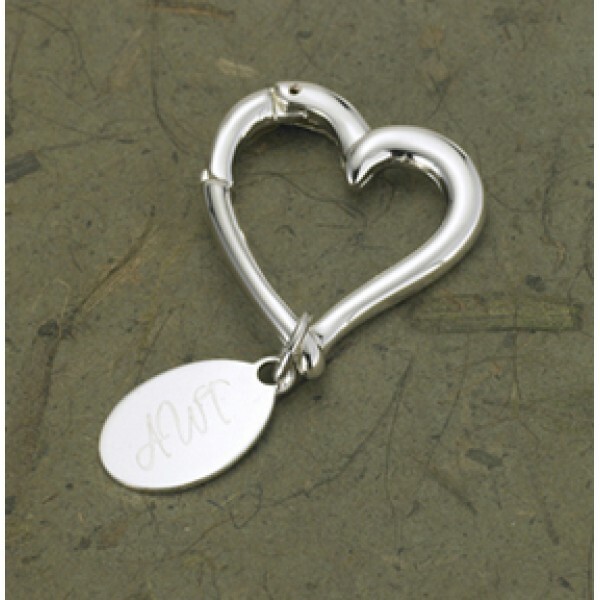 Not your ordinary keychain, this graceful personalized heart-shaped key holder is suitable for him or her and makes the perfect gift for the bride or groom or even an ideal wedding favor. Decorated with a simple tag featuring your chosen personalization, this silver-plated-over-brass keychain will keep shining for years to come. SIZE: Measures 2 1/2" x 1/8".